Our government is getting clumsier than ever where the dollar is concerned. If the print-and-spend / export-the-inflation tactics of Congress and the Federal Reserve don’t kill our dollar’s reserve currency status, then our foreign policy and our tax policies almost certainly will. This past week, the West enacted even more sanctions against Russia, which will only inflame and frustrate those most eager to ditch the petrodollar. 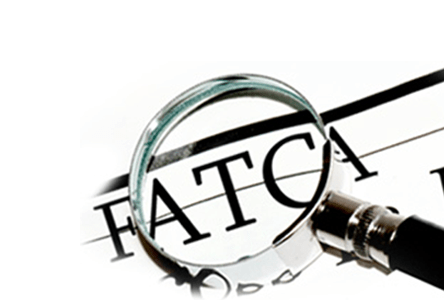 What’s not on quite as many radars, however, is the new dollar-killing tax law known as FATCA – the Foreign Account Tax Compliance Act – which is set to go into effect on July 1, 2014. As with most laws, it started with somewhat reasonable-sounding logic: Too many rich Americans are avoiding taxes with offshore accounts, while our nation is drowning in debt. And as with most things, once our government got involved with solutions (even with all the best of intentions), that’s when the real problems began. FATCA forces overseas banks that do business with American customers to report to the IRS. Lovely. Keep in mind that other countries don’t operate with their citizens in the same way that the U.S. does with Americans who work and live abroad. If you’re a citizen of most other countries and live abroad, your income earned outside your home country is left alone – and doesn’t that make sense? You are not driving on the roads of your home country while you’re abroad, nor are you using the infrastructure, being protected by the military or putting your children through the public school system. So under what justification would you owe taxes? You simply comply with the tax code of the country you are working and living in, and that’s it. But if you are *blessed* with American citizenship and work outside of our borders, you don’t get to play by these logical rules; you still must file a tax return with the IRS. The IRS might let you exclude some of your income earned abroad, but there is no real escape from them. For years, the “saving grace” for many expats was that this draconian tax policy was harder to enforce when their foreign bank didn’t have to spy on you on behalf of the IRS. With FATCA, now they will have to. Beginning this summer, all institutions wishing to continue to deal with American customers must obtain a special IRS identification number known as the Global Intermediary Identification Number (GIIN). They will then have to report certain details about their American clients’ holdings and assets. As things currently stand, major banking institutions are doing the demanded backbends and cartwheels in order to comply. But they have not yet gone through a reporting cycle and had the “pleasure” of coming up close and personal with the IRS that we all know and love. So one might expect that once foreign banks see what we have to deal with, their tune will change. The main point here is not to be missed: If foreign banks want to avoid all this pain and annoyance, all they have to do is not bank with Americans. One has to wonder: At what point will that option begin to make sense for more and more banking institutions overseas? The IRS is able to enforce FATCA with a pretty big stick, backed up by the (petro)dollar’s reserve currency status, so it will be extremely painful for foreign banks in the short term to not comply. But how long will that continue? As pressure moves against the dollar on all sides, the markets will eventually have to give in to the mounting pressure and do the same. As Russia grows increasingly frustrated with our economic intervention into their affairs, China too is becoming more and more dubious about the long-term value of the dollars they hold in the form of U.S. Treasuries. We keep printing dollars like mad, and then dictating all the rules for people who hold them. Something’s got to give. Iran is one country that has been desperately eying ways to get around the economic isolation tank we’ve put them in – and there are many other countries making the same moves. And now, to add to the growing consternation we’ve created by exporting our inflation, we’re going to export our IRS paperwork nightmares??! For foreign countries, all these headaches we’re imposing on them goes away if they simply reject our dollar. So why exactly did our government sweeten the pot to encourage them to do just that? The dollar is increasingly becoming an albatross around the neck of global trade and financial institutions. How long will they play our games? It’s a game we shouldn’t want to play. Yet here we are, with that infamous date of July 1, 2014 quickly approaching. What might July 1, 2014 bring for the U.S. economy, the U.S. dollar and our savings? Right now it’s impossible to say for sure – don’t believe anyone who tells you otherwise, or who promises catastrophe. But we do know this: The dollar is a fiat currency that has been losing value since the very first day it went into circulation. It will continue to lose value over time, and eventually it will be replaced as the global reserve currency. The dollar’s end may come in 2014. Or it may come in 2015, or 2020 or maybe 2030. But whenever it does come, we urge you to be prepared. The process of converting your IRA or 401(k) out of paper assets (denominated in dollars) and to an IRA backed by real, physical, hold-in-your-hands gold and silver can take up to a few weeks. If you’ve been waiting to get started, there’s no reason not to begin now.